The U1602A 20 MHz handheld digital oscilloscope is a high performance troubleshooting tool in multi- industrial automation, process control, facility maintenance and automotive- service industries. 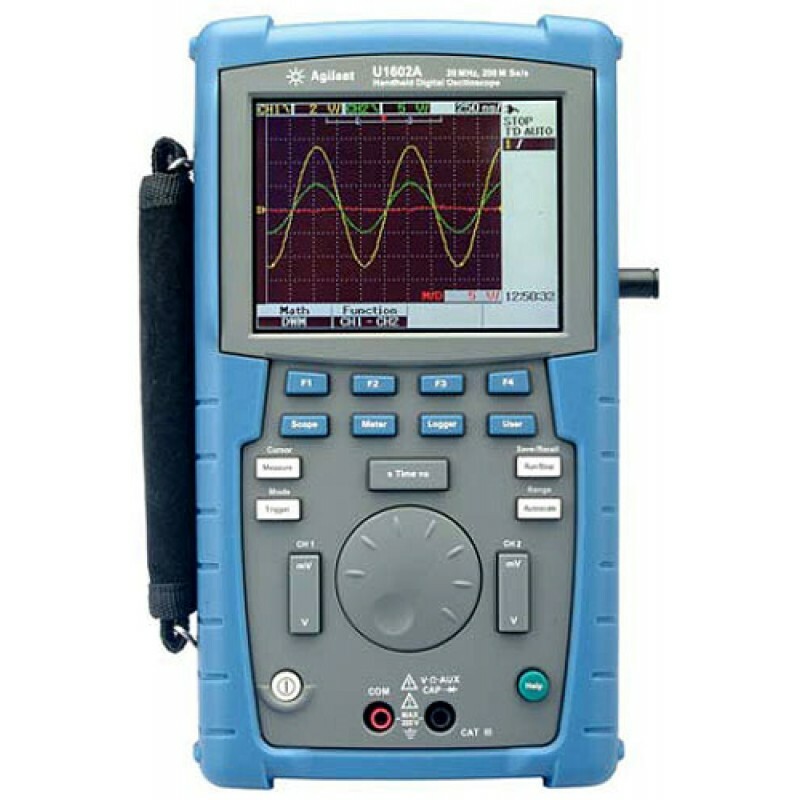 With its 4.5- inch LCD color display, it is capable of clearly distinguishing waveforms from two channels. The U1602A is a dual- channel scope with real- time sampling rate of up to 200 MSa/s. The U1602A can also function as a digital multimeter (DMM) and data logger.The U1602A with built- in 6000- count resolution and true RMS comes with an auto range function that allows users to perform quick and accurate DMM measurements. Additionally, with data logger function, users can perform automatic data logging for all DMM measurements.